Insight Vacations, the leader in premium escorted journeys, has released their highly-anticipated 2018 Europe Preview program offering guaranteed 2017 pricing for 2018 itineraries. This collection of more than 75 journeys of discovery, friendship, and fun, takes you to some of the most iconic and remarkable destinations in Europe and the UK, from the stunning fjords of Scandinavia to the sultry Greek Islands. 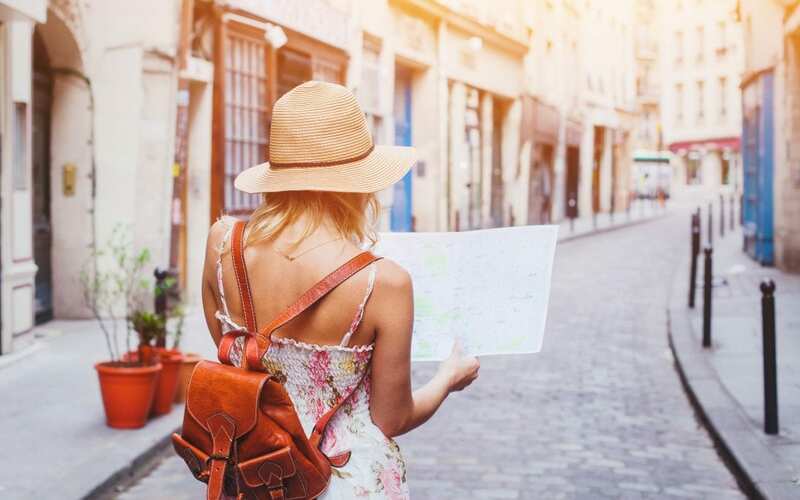 In 2018, Insight Vacations has redesigned their discovery itineraries to make them more exciting, enjoyable and above all engaging. This is the ideal way to travel if you are a first-time visitor to Europe as you will explore multiple countries. You’ll meet local people and hear their stories, try authentic farm-to-table restaurants and dine in local homes, relax in great hotels in the heart of the action and enjoy fantastic once-in-a-lifetime experiences. Insight Vacations ten day ‘Flavors of Europe’ journey is one of their new Discovery Journeys. Experience the essence of Europe as you travel through bustling Rome and Paris, stopping off in Renaissance Florence, the colorful ocean-side villages of Cinque Terre and the glittering snow-capped peaks of Lucerne. Looking for a more extended stay? The new 18-day ‘Mediterranean Journey’ covers Europe’s most prestigious locales to its quietest corners. This sun-kissed itinerary suits the discerning traveler who’d like to combine the excitement of Europe’s big cities with perfect relaxation. Keep reading to learn more. You’re connected with local people and given authentic flavors to bring each destination to life. After all, what’s the point of traveling to Europe if you’re not going to experience everything it and its people have to offer? Furthermore, speaking with and getting to know the local people will make your travels more interesting! You travel on luxury coaches with extra legroom and stay in style at handpicked hotels in the right location. Just imagine having room to stretch your legs and not having to worry about where you’ll stay. Instead, you only think about the memories you’re going to make and share with your family and friends when you return home. Travel directors take care of all the details from priority access to hotel check-ins and local recommendations, so you can sit back and enjoy your vacation. You get to travel with like-minded guests from around the world. Imagine discussing the places you met with the new friends you met on your vacation. Who knows? You may become good friends travel together in the future. Insight Vacations is driven by service and passionately run and owned by a family involved in travel and hospitality for 100 years. The foundation helps to ensure that the environment and communities they visit remain vibrant for generations to come. Are You Ready to Experience Insight Vacations? Every year, Insight Vacations proudly takes over 25,000 guests on escorted journeys to destinations across the USA and Canada, and to over 40 countries in Europe. Their superb collection of premium journeys epitomizes incredible value and overall quality that sets them apart from the rest. They offer a variety of travel styles to enable you to experience destinations in a way that matches your personality and desires. From multi-country journeys to relaxed extended stays on and off the beaten track, they let you choose the best vacation for your style. At Insight Vacations, they apply their passion for travel and their deep knowledge as they carefully test and prepare every tour element, crafting only the best experiences for you from start to finish. Their meticulous planning allows you to have seamless, unforgettable adventures that take you to the heart of the destination and fully immerse yourself in the local cuisine, culture, and hospitality. If you’re ready for an incredible travel experience, contact your Travel Planners International agent and book your Insight Vacations premium journey now!